The unique Autopilot concept allows driverless operation for repetitive movement of goods. This not only increases efficiency, but also reduces manual labour, saving money. The LAE, SAE and RRE are ideal for repetitive transport and stacking in both manufacturing and picking processes. These include delivery of goods between production lines and storage areas, or between conveyor systems. The unique Autopilot concept makes BT warehouse trucks well suited for any driverless operations. Based on standard truck designs, the LAE200, SAE160 and RRE models are fitted with advanced laser technology for navigation and safety. These automatic trucks improve productivity and save cost by reducing labour, goods damage and risk for work-related injuries. 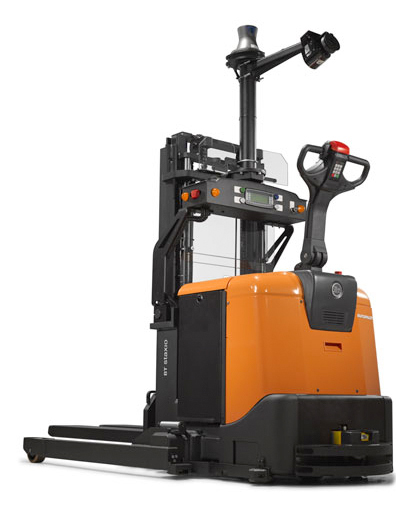 They can be used as ‘stand-alone’ trucks in simple installations such as transporting goods, or in larger operations with multiple trucks integrated with the customer’s Warehouse Management System. 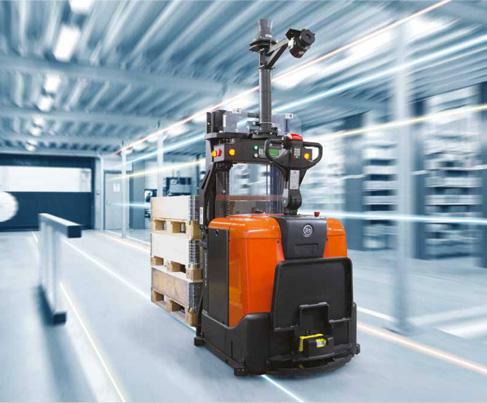 The trucks within the Autopilot range can be used in manual mode as a standard stacker or powered pallet truck, as well as in order-picking processes to increase productivity,.